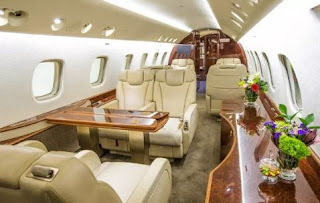 A private jet belonging to ANAP Jets, owned by entrepreneur and the founder of Stanbic IBTC Bank Plc, Atedo Peterside, has been vandalised by robbers at the Murtala Muhammed International Airport (MMIA), Lagos. 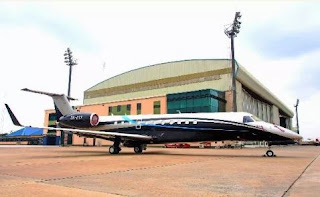 After the aircraft landed at the Lagos Airport , ATC Aviation Services asked the aircraft to hold for traffic reasons. However, while the aircraft was holding, some thieves popped out from the bush and opened the cargo hold door, stealing a bag. This is not the first time in recent years that an aircraft will be robbed at the airport. In February 2018, burglars attacked an Air Peace Boeing 737 aircraft at the airport while it was taxiing for takeoff to Abuja. A similar incident also happened in December 2017 when a private jet conveying Wizkid and Tiwa Savage from Uyo, the Akwa Ibom State capital, was robbed at the airport while taxiing on the runway. The Anap Business Jets Limited (Anap Jets) specialises in fractional ownership, charter services and aircraft management.The private jet operator has fleet that comprises of the Embraer Phenom 300 and the Legacy 600 aircrafts.